Are you stressed about money? If so, you’re not alone — 72% of Americans report feeling stressed about their finances. In a country that has tripled its consumer debt since the 1980’s, money-related stress is everywhere, and it’s wreaking havoc on our physical and mental health. Those with high debt report a myriad of symptoms ranging from poor digestion to muscle tension to high blood pressure. Debt also makes us more susceptible to mental illnesses such as anxiety and depression. If this sounds like you, it’s time to practice some self-love. Those who paid down debt reported feeling generally healthier and happier. So do what you can to pay down debt and build savings — your mind and body will thank you. 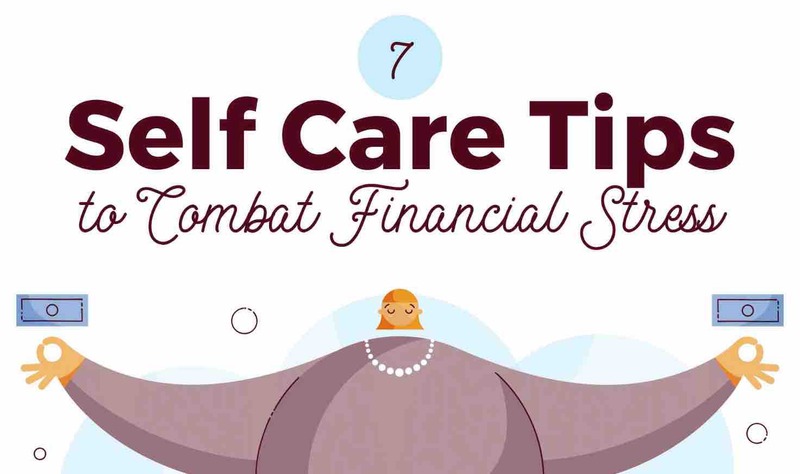 Go the extra mile and practice some self-care tips to help alleviate money-related anxiety and live a more wellness-centered life. Not sure where to start? This infographic from Self Lender makes it easy.